Right chaps, due to the fact that I find that there is quite a bit of flex on the front forks/stearing due to the front forks being held in place with just a single tree (bottom yoke) has anyone had made or purchased a fork brace and if so does it make any improvement to the handling. I have firmed up the suspension by fitting extra spacers on top of the springs which has made an improvement and tyre pressure are checked before a ride out but I think a front fork brace would improve things if one could be fitted. Thanks for any info. Not sure if it would improve anything. The forks on SW are pretty short. Please keep in mind that the SW has a steel frame compromised by the "scooterish" shape. It is probably the source of flexing you are experiencing. I had a fork brace installed on my VStrom 650 and it made an improvement in cross-wind handling and overall stability, but the forks were much longer. I am quite happy with HyperPro springs and heavier fork oil on my SW. I find all these posts about messing about with the front forks very strange indeed. All I've done with mine is spent 10 minutes fitting a set of fork protectors about 4 years ago. So this constant need to by some owners to uprate fork springs and change fork oil amuses me. Now it's fork flexing and adding another fork brace, I must be missing something here as I've never detected a hint of flexing, bottoming, or any problem with front forks in 19 years of riding maxi scooters, or 22 years of riding bikes before that. Apart from a leaky fork seal on a MZ caused by pounding along old East German autobahn surfaces, and that had a fork brace fitted. I realise I might be sounding like Mr Grinsel here, ( Hi John, no offense intended ) but I can't help getting the impression a lot of these problems are imagined. Just ride the thing and enjoy it, it's a maxi scooter not a sports motorcycle. Could it be the case that you have not got a chance to compare OEM springs with HyperPro ones personally? I have and I can tell you that the handling is much improved. I would not keep SW with OEM springs - it was that bad IMHO. BTW, the fork brace on DL650 was a very good modification indeed. I guess its the old case of "don't knock it til you try it" ! Before i did my fork mod i could easily push the front of the bike to the bottom of its stroke while on the garage floor or that bump in the road. Now it's more rigid which creates a nicer controllable ride! Im not sure about the flex in the forks tho as I've never experienced that. No I haven't, and why would I need to when I have no problems riding with the OE set up, in fact I don't even give the front forks a second thought as they work fine. If they were a problem I wouldn't be choosing the Harz in Germany as a regular touring destination. I've posted a couple of times that the Silver Wing is the most able of the four maxi scooters I've ridden there and also in the nearby Kyffhäuser where the bikers come to play. If there was any deficiencies in the handling department I think I'd know about it by now. Anyway I've given my views on this topic and I'm off out for a leisurely ride and tea and cake somewhere. It's surprising how enjoyable a bog standard Silver Wing is open roads, just junk the OE screen for an Airflow. PS After reading hotwings post I've just nipped into my garage and tried to bottom the fork springs sitting on the scoot, standing alongside, and again when I pushed it outside. I can't bottom the springs at all and they've never bottomed out on bad road surfaces. So for me, fitting HyperPro or any other fork springs would be nothing but an expensive placebo. It's surprising how enjoyable a bog standard Silver Wing is open roads, just junk the OE screen for an Airflow. I like this one: "OEM screen is junk". I could argue (just to annoy you) that OEM screen is the best screen I have ever had. No, but it is not. I know because I have both OEM and Givi AirFlow. Meldrew, would you consider that there is a small chance that the HyperPro springs are better than OEM ones? BTW OEM springs are also progressive. I've never noticed any deficiency in the forks of the two SWs I've owned. I prefer somewhat soft fork springs on a scooter because of the choppy ride due to the smaller wheels. On a rough road the stock SW is a stiff rider and adding stiffer forks would just exacerbate the situation. I did replace the front springs in three of the various GWs I've had but that's a whole different deal with a 900lb. bike, they do tend to dive on hard braking. As for fork braces I've tried them on GWs added and removed to see what effect they had and on the big bike I couldn't really detect any improvement. GWs have are pretty springy in torsion, you can really feel it when you wiggle the handlebars back and forth when stopped. The SW fork feels quite stiff when you do the same thing. I don't like putting braces on machines as a rule. When you stiffen up one point on a dynamic system it will increase stress on another part. Personally I believe Honda's engineers have worked out the interaction of the vehicle's parts well and better than add on solutions for a nonexistent problem figured out by backyard mechanics. Personally I believe Honda's engineers have worked out the interaction of the vehicle's parts well and better than add on solutions for a nonexistent problem figured out by backyard mechanics. So what was the reason for installing the airflow windscreen? No, I was referring to structural and dynamic function. design. One's personal size and shape has more to do with the utility of a windshield. A windshield also doesn't effect the operation of other parts of the machine. Changing the rebound rate of the front suspension, stiffening the fork, operating on auto tires all change design parameters of the bike. All it means is that some changes make the rider the 'test pilot'. Most changes probably won't cause serious negative effects. Some could. If one's fork failed at high speed causing serious injury it could generate a law suit if a succeeding owner was injured when that part failed. It's also possible that one could be sued if a car tire failed on a bike that a previous owner installed. Lots of those kinds of suits in the US without our unfortunate tort system. With that explanation have you considered venturing into politics? Just my own thought but I believe the chunk of metal under the front fender may act as a fork brace. It seems way too heavy for something just intended to hold the fender on. I've wondered about that lump of metal too - it does seem a bit excessive simply to be a mudguard bracket. I'm firmly in the 'leave things alone' camp but that's just my preference. I've never managed to bottom out the forks either when stationary or riding, and some of the road surfaces around here are pretty dire. and some of the road surfaces around here are pretty dire. You want to come up here to Pothole County! My son is a heavy goods driver, and he parked up last week with one of his front wheels in a bombhole pothole. It was about three feet long, and about nine inches deep!! Had to give it some welly to get the truck back onto the tarmac. Wouldn't want to hit that with the scoot or my car. I've had my front mudguard off a couple of times to fit mud flaps and that arch shaped chunk of metal under there looks like a fork brace to me. I always clean it and give it a good coating of anti-corrosion wax before fixing the mudguard back on. Our opinions are based on where we ride and how we ride with no real consistent metric from person to person unless we've ridden together, on the same roads, at the same speeds under the same conditions. I agree with Meldrew, on a leisurely ride on decent roads, my SW is just fine and I don't really experience any major or obvious deficiencies . I also can't get mine to bottom out and I am a big, strong guy. My issue with the SW is when I push it to my riding skill limits ... which I believe can be categorized as advanced, that's when I experience the skittish front end behaviour along with some rear end skipping in the tight, fast twisties. I felt this just last week while thrashing the twisties in the Virginian Appalachian mountains. (google the Back of the Dragon Hwy 16 and the Snake Hwy 421). These are amongst the most technical roads I have ever attacked and when pushing myself to my limits, I sure felt the handling limitations of my SWing. I know the standard response will be ... but it's a scooter and not a sport bike so don't expect sport bike like handling. True enough and I don't hold that expectation. However, if the SWing's ride, handling and comfort characteristics can be improved, then I say why not. I like my scoot that much because for the most part, it does a lot of things very well and satisfies most of my wants & needs. Forks are too short, I feel a brace won't do much. Some bumps or series of bumps upset balance of scooter. Fork lacks stiff enough rebound, bounces. Fork compresses OK but springs back to fast. Springs and thicker oil should improve rebound damping. Saw some posts about new shocks on the market for SW, look nice. $$$$ Don't know? I agree that a fork brace is not a needed mod, the forks are short and the single tree clamp is strong enough for any foreseeable load. Plus, the fender bracket provides the bridge function. If you're finding shimmy/flex in steering it could be either the fork bearings (bushings) or, even the head bearings are loosened. However, performing modifications to tailor a scooter or M/C to a riders weight an body dimensions is often necessary. Since the optimal single rider weight according to Honda's engineers is 160LB and allowing for a passenger and touring gear brings it to max rated capacity...note this is not ideal for handling and ride. 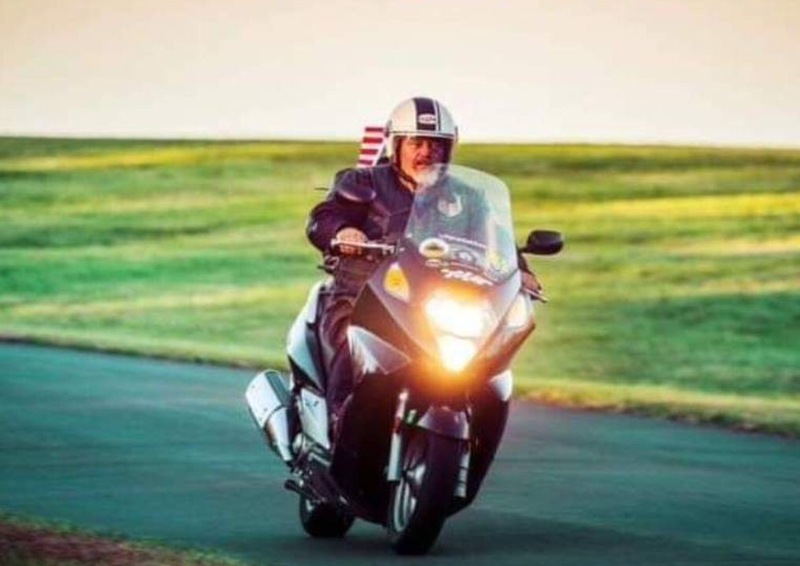 Many on this forum are near this max cap riding single, and regardless of the beliefs of a couple of the members, either loosing weight and/or switching to a higher rated motorcycle is not an option. Therefore, some need to change seat to move position up and/or back due to leg length. Some need to install wider/taller bars due to arms length and shoulder width. Some need to alter the front and or rear suspension for their weight. Some need to adjust the drive ratios for their weight and riding style by using different variator weights. Most, if not all, of these adjustments are standard on many motorcycles, why should we be denied this feature because someone believes you only should ride it like you bought it? It's not exactly re-engineering, it really about just adjusting the rider position so that it's mid-point in suspension travel and the rider is in a correct ergonomic position. So, tell me again why is it ok to change the windshield because it doesn't block enough wind? One problem is the front forks use a simple metering orifice to provide damping for compression and rebound, if you use a heavier oil it will stiffen the rebound, but at a point the ride will get harsh due to the extra compression damping. The stock springs are progressive but, as I've said the preload spacer limits travel. The Hyperpro kit eliminates the spacer, giving more travel and the heavy oil increases damping, but, it also eliminates excess weight from your wallet. On the rear, the shocks are dampened to be optimum at preload 2 or 3 with a load well below max cap, It would have been nice if they had Variable Shock Damping (like my Suzuki GS), so that increasing the preload also increased the damping. I know this will incur the wrath of the wise ones, but has anyone ever considered cartridge emulators for the forks? <> I know this will incur the wrath of the wise ones, but has anyone ever considered cartridge emulators for the forks? So the question is; are cartridge emulators available for the Silverwing? I've never experienced any fork flexing in the two SWs I owned. I don't see how one would install a fork brace on a SW. On the Goldwing there's an aftermarket industry making fork braces (which really aren't needed) but they have a place to mount them on the top of the sliders, the SW doesn't seem to have any way to put on a brace other than to clamp directly to the fork tube instead of the slider. I don't think there's much room on the fork tubes when the springs are fully compressed to attach anything between the bottom of the stem and the tops of the sliders. If a brace is located close to the stem it won't really do much in the way of reducing flex any way. Stiffer springs would reduce diving but I think it would make the ride rougher than most would like. Pot holed streets and small scooter wheels need all the help they can get to smooth the ride. For me, I get the fork flexing thingy when I am riding down a flat straight road and take my hands off the grips. The front starts shaking violently after a few feet before I have to take control of the handlebars before the scoot loses control. Take the handlebars and give the scoot a good push and pull and you will notice the forks flexing by giving them a good steering workout and turning them hard. That's when I notice the flexing occur the worse. So it seems a little unstable when hitting curves a lot harder than normal. Like for instance when I gave my Swing a workout Sat. on the 'back of the dragon'. Some 400 curves latter pushed my forks to the limit. I could have hit the turns even harder if my front forks didn't do so much flexing, just sayin. It has nothing to do with the springs. Does the fork oil wear out? Maybe become less viscose? A lot of people in here are riding older scoots. Maybe it's just time to change the fork oil. Also over time there could be some oil loss. age. I suspect the oil seals were dried out from age and lack of use by one of the previous owners. The front end sure feels a lot stiffer now. Even small bumps are much more noticeable. Haven't had a chance to see how it performs in a long corner yet. Yes, fork oil does lose it's viscosity (breaks down) over time ... especially when contaminated and that's why it needs to be replaced occasionally. Changing the oil does make a difference ... so does changing the weight of the oil used. Question - how does one know if their forks are "flexing". Obviously you can't see it happening ... is it just by feel or a guess or something else? Another question - has anyone ever replaced or heard of a way to replace the SWing's OEM front end with a fork/tire set up from another bike? Oh ya, I feel the forks flexing. Like I said it has nothing to do with the seals or springs or oil. Grab a hold of your handlebars while just sitting still. Give it a good hard steering workout just by turning the handlebars and you will feel the forks flex. Just saying. Sometimes I feel a little wiggle in the front end. It is a road surface induced thing. Is that what the flexing feels like? What you are experiencing is a common occurrence with the Swing. Not sure if other scooters experience the wobble. BTW, you should always have a hand on the steering bar. The wobble could be caused some front tire thread patterns. Over time, the oil will lose it's viscosity as well as it's anti-wear properties. This will let the fork bearings start to wear out, and with the shorter distance between the bearings a little play can become a lot of wiggle. If you're taking the forks out to change the fluid, and have any doubts about the amount of wear just replace them as well as the seals. Even with perfect forks, you can still get the oscillations. Depending on tire balance, wear pattern and road surface the wobble will occur if you remove the hands that are acting as a steering damper. On the subject of cartridge emulators to give variable and tunable compression and rebound damping. from what I can tell there may be an off the shelf solution for this. A set of HyperPro's with the cartridge emulators would probably make the scooter handle well enough to let you get into a lot of trouble! Thanks on the tire thread suggestion. I have to agree with what sonuvabug said on this issue. What it could use is some sort of chassis stabilizer. I was wondering too after doing the twisties and trying to figure if there was some sort brace to stiffen up that wobble in the turns. I feel the fork flexing occur on the frame's neck if the helps anyone understand the weakness vmaximus said about the tree. If you feel the wobble at slow speed (1-3) mph while turning, that may be caused by cupping of your front tires. Run your hand around the tire edge and feel for highs and lows. If present, then hour tires are cupped and should replaced. I don't think it's the tires causing the forks to bend at the frame going into to a tight turn, just saying. I just stumbled upon this vid from Italy, It would seem someone found a way to transplant a different front end onto a wing, this one has dual discs, as well as many cosmetic mods. Hard to say if he fitted different front forks or just fitted dual discs on the front. I'm not sure what he did to the lower rear area ... different brakes? I know I didn't like the sound of the exhaust ... sounded motocross'ish to me. Since the R/H fork has no caliper mount, he either found a closely compatible front end, or fabricated a mount and welded it in....If someone speaks Italian you might ask him. Oddly enough thats what I thought. When I first saw the video, I thought it was a Burgman. The front fender looks like a Burgman. The calipers, nor the wheel match any examples I found....But if someone speaks Italian, he placed his phone number in the description to call for information about the dual disc. Well, yet another relight. I am about to change my fork seals, again. I bought cheap seals from Amazon less than a year ago and they're leaking badly after a couple of thousand miles. Anyhow, I've bought the Honda seals this time. My SW is 2001 standard (apart from a GIVI screen). I experience something on steep curves at high speed (around 75mph and above) on dual-carriageways, and slip roads on motorways but it's more like back end 'weave', a bit like a wobbly tyre but with rather slow oscillation. My wheel bearings are fine, the headstock is fine and I have two new tyres. I just put this down to it being a scooter and not a sports bike. Still a bit unnerving. Would stiffening-up the front end help with this or is it the rear shocks? Comments welcome. There should be two axle spacers on the rear axle. One is inside of the swing arm and the other is outside of the swing arm. A lot of owners doing their own work do not realize that it exists because it may stick onto the swing arm due to the axle grease when removing the tire. Without the outer spacer it is impossible to correctly torque the axle nut and will cause rear wheel wobble. Good luck! Gee! thanks for that. I had the back wheel off fairly recently to have a new tyre fitted. I think I'll take it off again to have a look, (a simple job thanks to our friend at SWCI on you tube). The previous owner was a bit clueless. When I picked the bike up the front tyre was virtually flat. She had been riding like that and wondered why the steering was heavy!